Months after its’ highly anticipated launch date of October 1, 2013, the failures of HealthCare.gov website are still the subject of talk show and late-night hosts alike. 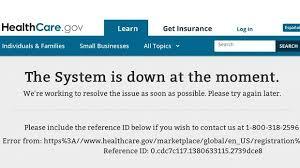 We just can’t seem to get enough of the colossal failures surrounding the launch of HealthCare.gov. My colleague Sam Clayton, recently blogged on the subject of electronic health and medical records, foreshadowed many of these problems as a result of a myriad of challenges. [Read Sam Clayton’s Blog] From my point of view, there are a number of lessons we can learn about the value that better project management practices would have had in achieving the desired result in providing health care access to millions of uninsured.